Port St. Lucie, FL -- Linda is profiled by Port St. Lucie Magazine, Summer 2016, in the article "The Astronaut's Mom." 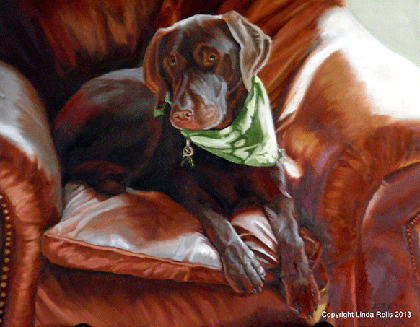 Baton Rouge, LA --- Linda Relis' painting Shelby, a chocolate lab, was accepted for showing in the 27th International Exhibition on Animals in Art at Louisiana State University from March 29 through April 27, 2014. It is one of 75 selected from among 383 entries. Producing oil paintings professionally for over 30 years, Linda Relis has oil paintings in many private and corporate collections throughout the United States and are included in the State of Florida's permanent art collection through their Art in Public Buildings Program. Her work has been in museum art shows throughout the United States and in several traveling exhibits including "Paws and Reflect: Art of Canines.."
The artwork can best be described as Traditional Realism. She ascribes to the "Old Masters" techniques of establishing a pleasing arrangement of medium, light and dark values within the paintings. Linda started drawing and painting at a very young age. She says, "My first visit to my great aunt's Vermont farm, with the sights and smells of living in the country, started my lifelong love of nature and influenced my art from the very beginning." Many subjects are inspiration, but her favorite, North American animals, have become her specialty. Much of the art work features the many bird species commonly found in her home base of Florida. She feels she is preserving Florida's beauty for others to see, especially when she paints the species quite common there but not found elsewhere. Moving from New York to Port St. Lucie, Florida, more than 20 years ago, she has witnessed the damage a couple of decades of progress can render on wildlife and wildlife habitats. The loss of Florida's pristine areas prompted her to direct her work toward eliciting increased public awareness regarding the dangers of over-development. She attended the School of Visual Arts in New York City, the Parsons School of Design, and the California Art Institute and has been a member of the Society of Animal Artists for many years. 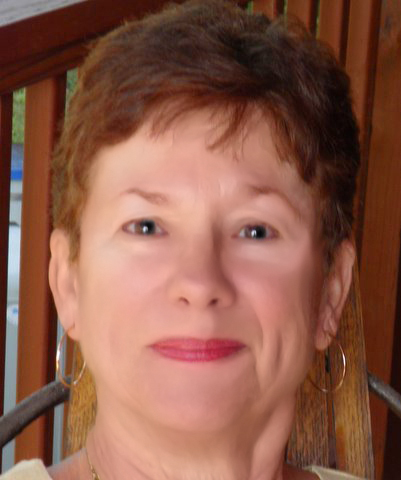 In 1995, she founded St. Lucie Professional Arts League in Port St. Lucie. Since then,she has been appointed to the St. Lucie County Cultural Affairs Board and the Port St. Lucie Public Art Advisory board for Art in Public Places. Currently teaching as a private art instructor in her home studio, she occasionally lectures to various art groups in Florida.